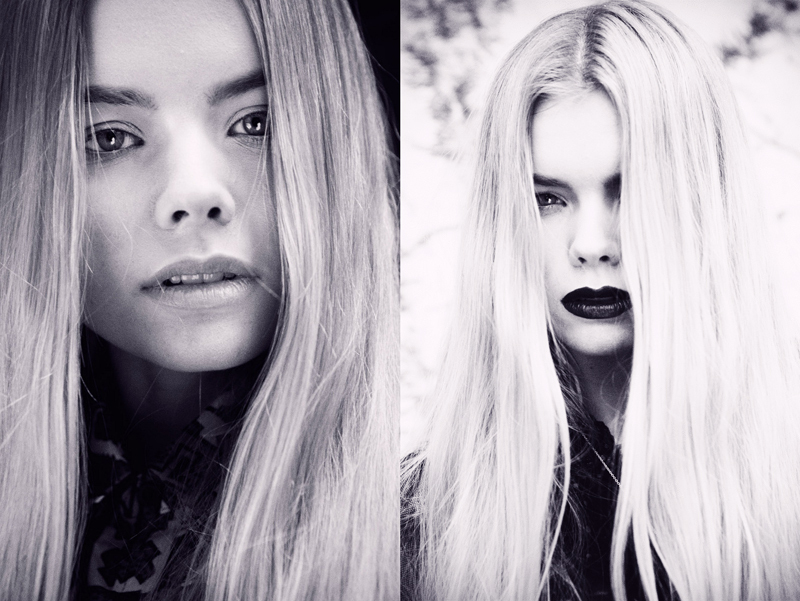 Icelandic born fashion photographer Iris Bjork is still searching for her signature style. Her current work is an ongoing body of creative experiments, influenced by everything and anything, so you never quite know what she's going to produce next! A common factor that I have noticed throughout her portfolio however is her choice of female models, which mostly feature long, beautiful hair, and I feel as though this may be partially due to her "obsession with princesses"! "Iceland is a very peaceful and quiet place due to a very small population, as only around 330.000 people live in the entire country. It’s a very magical place filled with lots of stories, fairytales and the most beautiful nature, and in the summer it doesn’t get dark at all, then in winter we have very short days. I grew up in the capital, which is called Reykjavík. It is a fantastic colourful small city packed with creatives." What made you decide to move to London and now that you live here, what’s your favourite thing about this city? 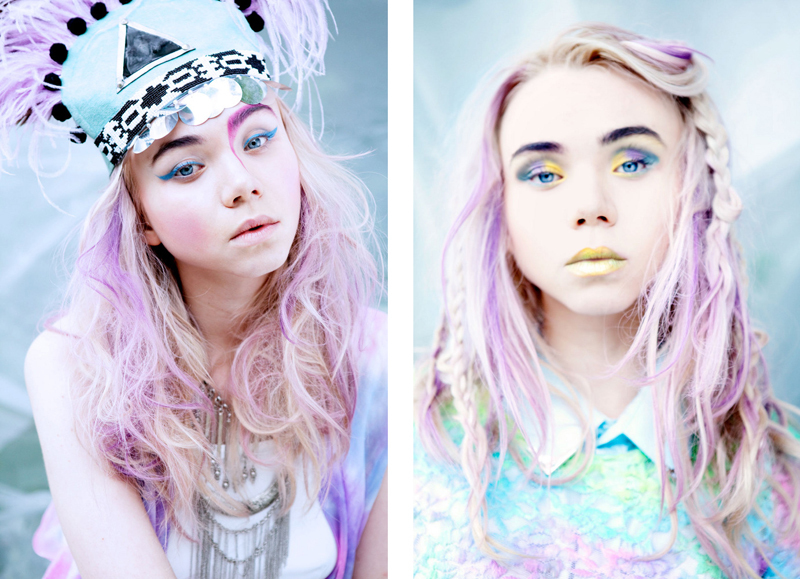 "I came to London to study Fashion styling and photography at LCF. I wanted to study fashion photography and at the time when I was looking into schools I found LCF to be the most exciting one. I guess my favourite thing about London is the cast amount of people! Coming from such a small population, I just love watching all of the different people, how they dress, talk and move. London is also very international which I think is interesting…everyone has a different story." What inspires you in life and do these things influence your work? Do you remember who or what influenced your love of photography? "I had never really been introduced to photography as a kid. When I was 17 I spent a year in Brazil as an exchange student and experienced lots of things and met so many interesting people. I traveled a lot and on one of those trips I spent 10 days on a boat in the Amazon among 60 other exchange students. The travel agency had sent a photographer with us to document everything and that was probably the first time I got interested in photography. When I got back to Iceland I bought myself my first DLR camera and started experimenting on my own." I find your photography style very unique, would you say that you had a signature and if so what is it? What camera and lens do you normally work with? "I use a Canon 5D mark 2 and 24-70 f/ 2.8 with it. I’ve also taken up using analogue cameras, mostly an old 35mm Canon camera my dad used to own about 20 years ago. I have now started collecting analogue cameras and will be experimenting more with them in the near future." 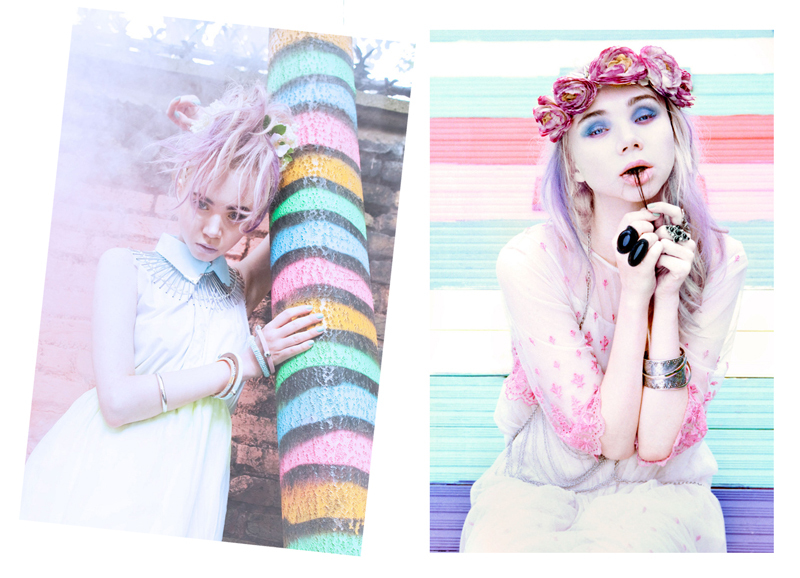 "I guess it would have to be getting into LCF, as I had never studied any photography or art before. It also makes me very happy to see my images in magazines and on blogs – it means a lot to me that people are interested in what I do." "I see myself making a living on what I love to do, no matter what that will be by that time, and surrounded by beautiful things and wonderful people." 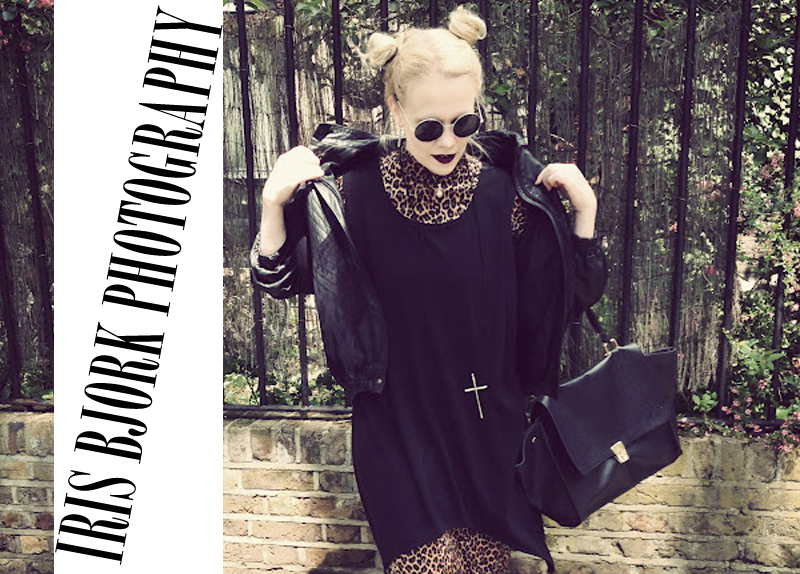 What advice would you give to anyone else looking to get into fashion photography? "Just be yourself and give it all you have got." Finally, what is your favourite bar or restaurant in London and why? "A Sushi place called The Hare and the Tortoise. It is really yummy!" 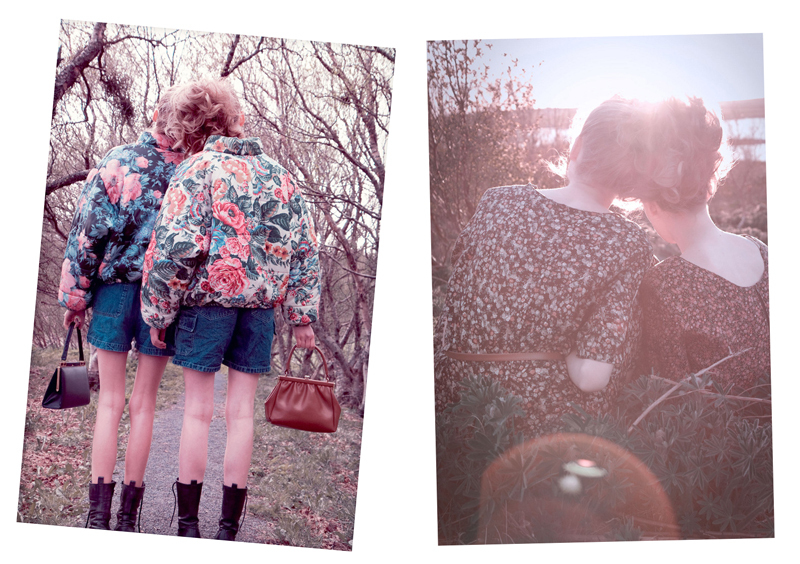 To see Iris's full portfolio visit www.irisbjork.com. You can also like her work on facebook here! oh she is perfect! really interesting story behind her influences and that! I really enjoyed this blog post, you should definitely do some more in this format! Her work is absolutely wonderful, I love her choice of models and the dreamy like atmosphere she's able to create. This post has also made me want to visit Iceland because it sounds lovely!